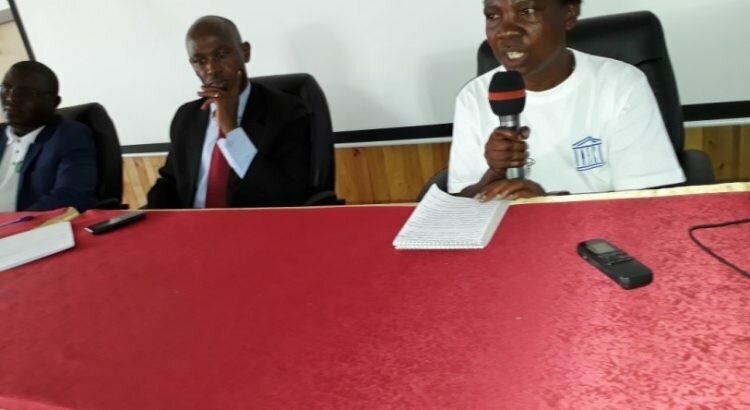 BUJUMBURA February 23rd (ABP) – Media and journalists made a series of recommendations on Wednesday to sustain the achievements of the project “Building capacity of local radio stations through ICTs”, which has just come to an end. . It was on the occasion of the closing of a national forum of local radio stations on the exit strategy of that project funded by the Swedish Agency for International Development (SIDA) through UNESCO. In particular, it was recommended that the government should reduce the fees levied by the ARCT (Telecommunications Regulation and Control Agency), release bills in Burundian francs and revitalize the media support fund. The government has been called upon to popularize the various laws (Constitution, law on the press, code of ethics and deontology of journalists, organic law of the National Media Council). The government, the National Media Council, and the media themselves, have also been called on to build the capacity of journalists to allow professional treatment of information, and thus avoid the separation of facts and comments, exaggeration of the facts, confusion between information and advertising. The government must also facilitate access to sources of information to avoid imbalance in the processing of information. It was also requested to encourage the creation of other community radio stations in the uncovered areas. Potential donors, including UNESCO, are called upon to support the media in the synergistic coverage of national events such as elections. They should also continue to build capacity among journalists on the gender dimension, make available information-gathering facilities (other Android phones and computers), build capacity in the use of applications especially for new correspondents and reinforce training on modules not yet seen (creation and supply of websites, blogs and applications). The associations should advocate with media officials to take into account the gender dimension in appointments to positions of responsibility as well as in media content. The Director General of communication at the Ministry in charge of the media, Mr. Jérôme Ndikuriyo reiterated the wish to extend the project to all radio stations of the country by UNESCO. He also wants the project to multiply the themes treated in relation to the 1st phase. He hopes that the recommendations will be taken into consideration and that stakeholders will be able to assess their implementation status. He recommends that the second phase of the project be on the start to implement those wishes, Ndikuriyo said. 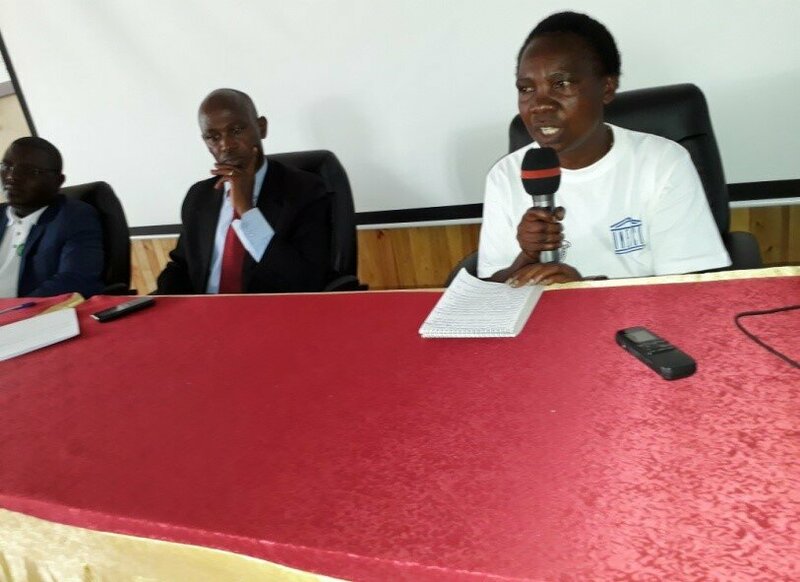 Ms Marie Goreth Bwoyero, volunteer journalist on community radio “Ijwi ry’umukenyezi”(woman’s voice) thanked the Ministry of Media and UNESCO for the multiform support granted. She told the ABP that the project has had a real impact on Ijwi ry’umukenyezi radio station. Following capacity building received through the project on gender mainstreaming, a gender unit was created in December 2016 within this radio station. It is composed of two men and two women who listen to and critically analyze the programs and information broadcast, the planning of themes and topics for broadcasts and newspapers. Ms. Bwoyero, head of the cell, says that there is a remarkable improvement in the production of broadcasts and news. “We are more professional than before. The concerns of all categories of the community are taken into account, “she said, adding that they currently produce 18 papers a week, whereas before they produced only four a week. At the management level, project proposals are made and some are financed and generate revenues that cover the expenses of radio (salaries, motivation of volunteers). Radio, however, faces a problem of access to water, according to its director, Mr. J. Mittérand Ndayegamiye. “It is the inhabitants around Giheta (headquarters of the radio station) who, in recognition of the balanced information provided to the community, take turns to draw the amount of water needed by the radio station,” he said, stressing that this allows the radio to allocate to other emergencies with the amount that should have been used for the purchase of water. According to Michel Elvis Kenmoe of the UNESCO Regional Office for Central Africa and project manager at the regional level, UNESCO will pay particular attention to the recommendations made by participants and facilitators. It will sort out those that can be rapidly implemented during the remaining 6 months to definitively close the project and sustain the gains. “I see concrete results in your radios. I have in my hands the assessments that have been made. I know that the situation of many people working in these radios is not yet clear. It is difficult but I want to believe that the improvement of the quality of the management within the local radios and even of all the media, the situation of all those who love the communication will in the long run be improved and that better contracts will be proposed on their account, “said Kenmoe.